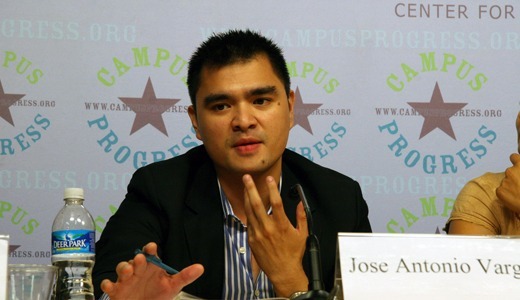 Over the past 14 years, Jose Antonio Vargas, 30, originally from the Philippines, has pursued his education and built a career as a journalist working for some of the nation’s most prestigious news outlets. As a Washington Post reporter, he shared a Pulitzer Prize in 2008 after covering the deadly Virginia Tech shootings. “On the surface, I’ve created a good life. I’ve lived the American dream,” wrote Vargas in a revealing story for the New York Times Magazine. He recalls coming to the U.S. at age 12 in 1993 to live with his grandparents in California. His grandparents emigrated legally to the U.S. in 1984 from Zambales, Philippines, a province of rice fields and bamboo houses. His grandfather worked as a security guard and his grandmother as a food server. They became naturalized citizens. Vargas notes his mother wanted to give him a better life, so she sent him to live with them in America. It’s been almost 18 years since Vargas has seen his mother. When Vargas turned 16, he went to his nearby DMV office to get his driver’s permit. The clerk said his green card was false and told him not to come back. Vargas confronted his grandfather and learned he was undocumented. 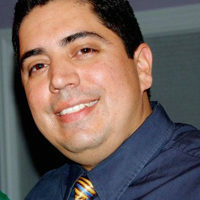 Over the years, Vargas graduated high school, won a scholarship to attend college and began working as an aspiring journalist. He used false information, including a false Social Security card, and was even issued a drivers license in 2003. “I convinced myself all would be O.K. if I lived up to the qualities of a ‘citizen’: hard work, self-reliance, love of my country,” writes Vargas. He began working for The San Francisco Chronicle and the Philadelphia Daily News while in college, before landing a fulltime job with the Washington Post. He joined the Huffington Post in 2009. Vargas said coming out about his sexual orientation seemed less daunting than coming out about his legal status. But Vargas said it was time to come forward about his story, including reaching out to his former bosses and employers to apologize. It was the courage of young undocumented students risking deportation while advocating for the DREAM Act that inspired him. Rory O’Connor, a colleague of Vargas, writes in the Huffington Post that Vargas is an American hero. “[He] is incredibly brave to risk everything he has accomplished in this country in order to tell the truth and to shine yet another, but still much-needed, light on the pressing need for comprehensive immigration reform in this country. He, and millions like him, have much to contribute to America – and without people like them, our country will be far poorer,” writes O’Connor.